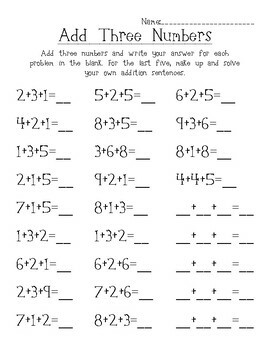 This worksheet is excellent for in class or at home practice for adding three numbers. The last five problems allow the student to create his or her own problems. It is a fun idea to have the students trade papers and attempt to solve each other's original problems.